In 2009, the All-Russian public organization of disabled people with multiple sclerosis (Russian MS Society / RuMSS), being one of the largest and rapidly developing civil/voluntary organizations in Russia, together with colleagues initiated the creation of the All-Russian Patients Union (ARPU). The Union was legally established in 2010, and today it includes 14 active nationwide organizations of patients with severe disabling diseases. These include hemophilia, diseases within oncology, multiple sclerosis, other orphan diseases. In all, the Union/ARPU directly represents the interests of more than 5 million patients in Russia. The Union shall develop the Patient Movement and ensure its interaction with public authorities, medical profession, and other social partners. Since 2010, the ARPU holds the All-Russian Congress of patients annually. 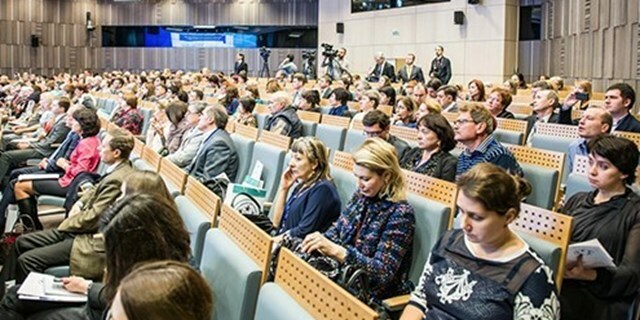 The 7th All-Russian Congress of patients was held in Moscow and attended by over 424 delegates from more than 200 NGOs of patients from all Russian regions and 17 countries around the world on 9-11 November this year. ARPU Co-Chair, Mr. Yuri Zhulev, when opening the Congress of patients, noted that ARPU activities today are visible at the federal level. However, NGOs of patients are expecting more interaction with the Ministry of Health. At the opening of the forum, Russian Minister of Health Veronika Skvortsova stressed: "The Ministry of Health, just as the Russian Union of patients does, sees the main model of modern healthcare in being focused on patient. And, step by step, we are moving together in this direction." The Minister listed the achievements of recent years. For the first time in Russia, since 2015 the mandatory waiting terms for all types of medical care have been at work; last year for the entire country and for each region, there was made the informational/GIS map that allows to identify hazardous areas for territorial and transport accessibility of the healthcare. 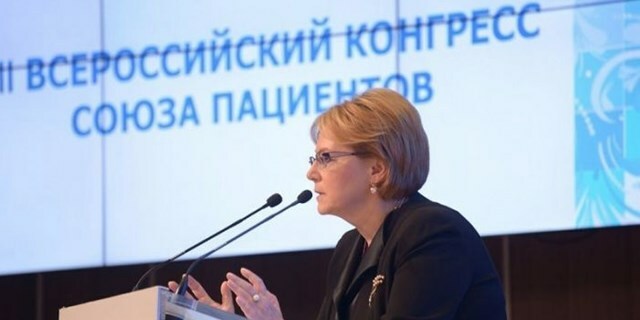 Dr. Skvortsova made public the idea that the Ministry of Health is set to implement in the coming years: "It is fundamental to engage insurance medical agencies to ensure the quality and accessibility of healthcare, their role in protecting patients’ rights needs to increase substantially. Patients with incurable diseases often enjoy entitlements, so as the minister dwelt on the subject, she said that the Compulsory Medical Insurance covers their pharmaceutical provision. Minister Skvortsova said that this year Roszdravnadzor (Russian major watchdog in the healthcare and pharmaceuticals) centralized functions of licensing control over the activities of healthcare organizations. And, she noted, currently, the clinical guidelines include criteria for quality healthcare for most diseases. Patient organizations’ sharing in the public control, in the evaluation of healthcare organizations, in decision-making, and in shaping regulations – she believes, these are important steps towards the healthcare focusing on patient. "I want to thank both the Patient Council at the Ministry of Health, and all patient organizations of the country for their active work and their positive contribution to the movement, which is found in each of the 85 regions of our country", - Minister Skvortsova said and awarded honorary letters of thanks of the Ministry of Health to ARPU Co-Chairs Yan Vlasov and Yury Zhulev as well as to RuMSS First Vice President Natalia Kichigina and other leaders of the regional patient movement. Dr. Yan Vlasov, RuMSS President and ARPU Co-Chair, presented the results of a study of patients’ expectations and concerns regarding the current state of the healthcare system, the availability and quality of medical services. 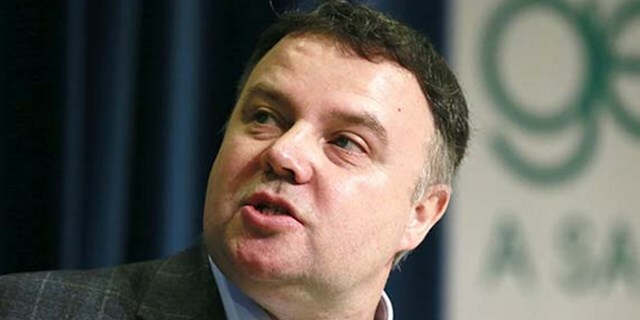 He said: "Setting up of an open, reasoned discussion of problems is especially important today, as opinion polls show that 96% of patients need a change for the better, which means that the status quo in healthcare does not satisfy them in full. And, we are talking here about millions of Russian citizens." The ARPU Co-Chair said that, if all directions of the Ministry of Health activities are saturated with public resources, this will facilitate systematic and effective solutions of many problematic issues in the healthcare. Discussions during the Congress were joined by Tatyana Yakovleva, Deputy Minister of Health for Regional Affairs, by Sergey Tsyb, Deputy Minister of Industry and Trade, and by Michael Murashko, head of the Russian Service for Surveillance in Healthcare (Roszdravnadzor). Discussion of topical issues in protecting the nation's health was taking place constructively. The attendees also heard welcome remarks from Natalia Stadchenko, Chair of the Federal Compulsory Medical Insurance Fund, who assured in the patient-centered policy of the body she is the head of. The Congress saw a video message from Navid Hanif, Director of the UN Department of Economic and Social Affairs, who regretted that he was not able to greet the Congress personally. He highlighted the global importance of the activities of Russian patient organizations: like their counterparts from other countries, they are changing the lives of patients around the globe. The remarks of Alexander Alimov, Deputy Director of the Department of International Organizations, the Russian Ministry of Foreign Affairs, left no one indifferent, especially when he said that the success of Russian patient organizations is the success of Russia in the international arena. Our participation in the international patient movement actually offers endless opportunities. Therefore, the RuMSS is happy to have the Special Consultative Status with UN ECOSOC. Tatiana Moskalkova, Plenipotentiary for Human Rights in the Russian Federation tackled protecting patients' rights in her welcome speech. And, like ‘a keynote’ passed, so did all the discussions of the first day of the Congress, which were dedicated to accessibility and quality of medical and healthcare, to the development of the home pharmaceutical industry, as well as to informational technology in the modern healthcare and the best practices of patient NGOs. The delegates of more than 200 nonprofit organizations outlined and compiled a ‘list of key-problems’ after examining things at the end of the year to submit to the Minister of Health, where this paper is going to impact the Ministry’s work in the next period. Traditionally, the Congress is the place to design technologies for the patient movement and public participation in the healthcare. RuMSS’ activists, on having acquired experience in social work in dealing with such a complex disease as multiple sclerosis, now share it with other voluntary organizations and contribute significantly to the creation of an all-encompassing nationwide system of public participation in the healthcare. The All-Russian public organization of disabled people with multiple sclerosis (Russian MS Society / RuMSS) was established in 2001 at the 1st Congress, which then brought together representatives of 48 regions of Russia. Since then, the All-Russian Congress/Conference of the Organization is held every five years. During the Congress, there are elections of the organization leaders conducted, and the staff report for their activities. November 10, 2016, the 4th RuMSS Congress was held at the 7th All-Russian Congress of patients. The RuMSS Congress saw the organizations from 75 regions of Russia represented at the Congress. Dr. Yan Vlasov, RuMSS President, opened the RuMSS Congress. When reporting on the activities over 2011-16, Dr. Vlasov said that the RuMSS status, while in cooperation with the government, has grown significantly thanks to the organization’s active participation in the public examination, public control and public discussion of health issues at all the negotiating sites of the country. Thus, Dr. Vlasov had become the head of the Public Council for the Protection of the rights of patients at the Roszdravnadzor. The dialogue with the government increased due to the Organization joining councils at the Ministry of Health, Federal Antimonopoly Service, Ministry of Industry and Trade, Ministry of Economic Development, councils at the Prime Minister’s Office, working groups of the State Duma and the Federation Council, commissions and committees, participating in the All-Russian People’s Front’s activities. The scale of activity has significantly grown: we coordinate public councils network with authorities in the healthcare (127 councils, 1,930 experts), more than 400 amendments have been introduced to key Federal Laws, methodology of public healthcare councils transferred to other areas, a direct dialogue between the authorities and patients in the regions and at the Federal level organized. The 4th Congress, saw certain changes in the structure of the organization. This year, Dr. Yan Vlasov took the office of the RuMSS Director General, meanwhile Igor Tsikorin was elected Organization President. Mr. Igor Tsikorin has a multiyear successful experience in the RuMSS and large state-owned companies, so the Conference participants took a unanimous decision in this vote. Yet, there are tendencies within the RuMSS: active regional NGOs have decreased in number, there are issues with professional training of experts, special training for federal and regional activities, shortage of managers in the non-profit movement, activities having to breach the nosology and regions bounds as well as the usual forms of work, having to switch onto grant funding and the project method of management. When our organization started working in early 2000s, MS as a problem was unknown to society, and it was treated as a narrow scientific and medical issue. The government provided then no guarantees, nor specialized care, standards of treatment and rehabilitation. There was no Patient community, either. At the moment, multiple sclerosis is a recognized, socially significant problem. The Government ensures medical treatment. There are MS centers; professionals specialized in MS are trained. The Patient Community is well organized. However, the pharmaceutical provision is in jeopardy. Rehabilitation is in its infancy. The RuMSS needs more skilled staffs and development. Taking all this into account, we must admit, the patient MS community in Russia faces an uneasy task. But thanks to the experience already in place, we may look forward optimistically, because there are grounds for this: most obstacles are detected and eliminated. We just need to make efforts in the next five years.